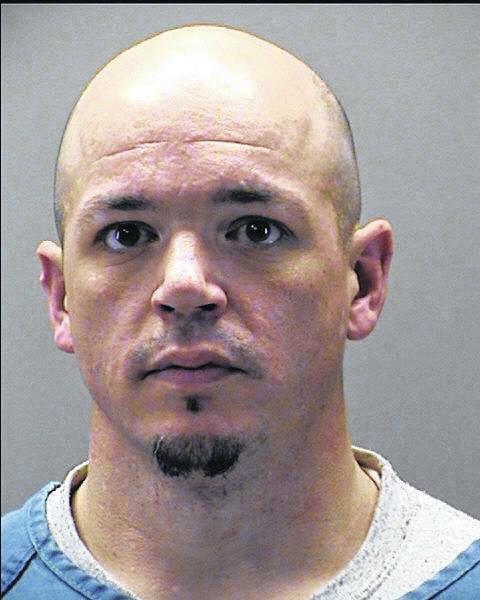 PIQUA — A Houston man was charged in connection with a reported burglary on Piqua-Clayton Road on Wednesday morning. Bradley W. Callahan, 39, was charged with second-degree felony burglary in connection with this incident on Thursday. Callahan is currently scheduled to be arraigned in Miami County Municipal Court on Friday. Miami County Sheriff’s Office deputies responded to a burglary complaint at 10:40 a.m. on Wednesday on the 2500 block of Piqua-Clayton Road. Upon arrival, deputies found forced entry to several doors and several windows were busted. The house had a few items disturbed, and the refrigerator door was standing open. A suspicious male subject had been located and detained a few minutes before this call came in, according to sheriff’s office reports. The male subject was located two houses west of this location in connection with a report that he had been trespassing on property near the 2800 block of Piqua-Clayton Road. Deputies identified the male subject as Bradley Callahan. Deputies detained Callahan for having outstanding warrants in Miami, Shelby, and Montgomery counties. Callahan was reportedly under the influence of drugs at the time of his arrest. He was charged with first-degree misdemeanor possession of a drug abuse instrument in connection with this incident. Callahan could not tell deputies where he was or why he was there, according to sheriff’s office reports. Pieces of glass were later located in his shoes and items on his person. He was charged with burglary and incarcerated. Callahan is currently being held in the Miami County Jail.